SRINAGAR: The last phase of the 4-phase municipal polls that was scheduled for Tuesday has ended with the voting percentage of 4.17 percent. The overall poll participation for all the four phases of Kashmir division including Ladakh and Leh has reached to 5.85 percent. Masking their faces voters coming out of polling station in Srinagar’s area after they cast vote. In the first phase, Kashmir polled 8.2 per cent in which voters from Kupwara and Handwara participated in good numbers. 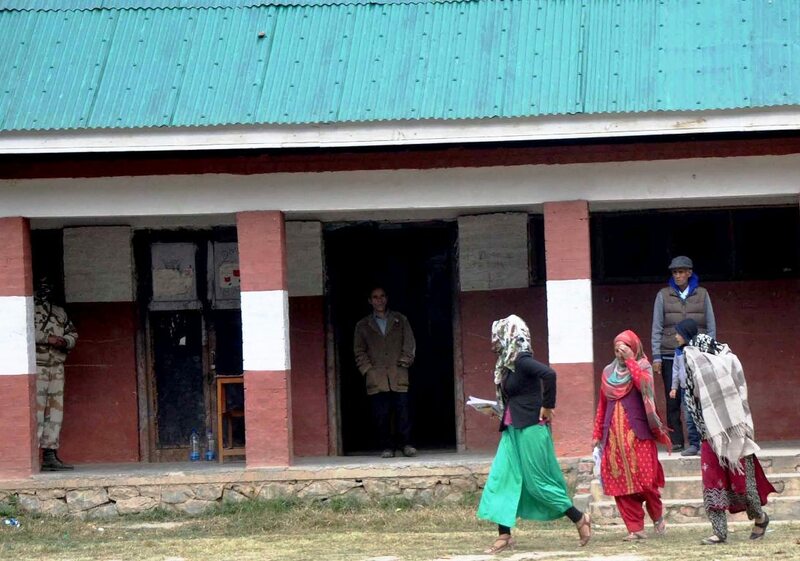 In the phase-II, the number went to 8.3 percent with Sumbal belt in Bandipora voting the most. In the phase III, when most of Srinagar was scheduled to vote, the cumulative percentage tumbled to 6.7 per cent. It was Uri that polled in better numbers and in fact, more votes came from small border Uri township that the capital city of Srinagar. In the Phase IV, when rest of the Srinagar and Ganderbal parts were scheduled to vote amongst the remaining 37 wards, the total votes reached to 4.1 percent with most of the votes coming from Boed Dal (Dal Lake interiors) with 2336 votes, 1882 votes from Alamgari Bazar ward and 1286 from the Panth Chowk ward. These three areas were the only areas where the voting crossed one thousand vote mark. There was only one booth in Soura, 69 wards where no vote was polled. Clashes between youth and government forces in Soura area of Srinagar on Tuesday, October 16, 2018. 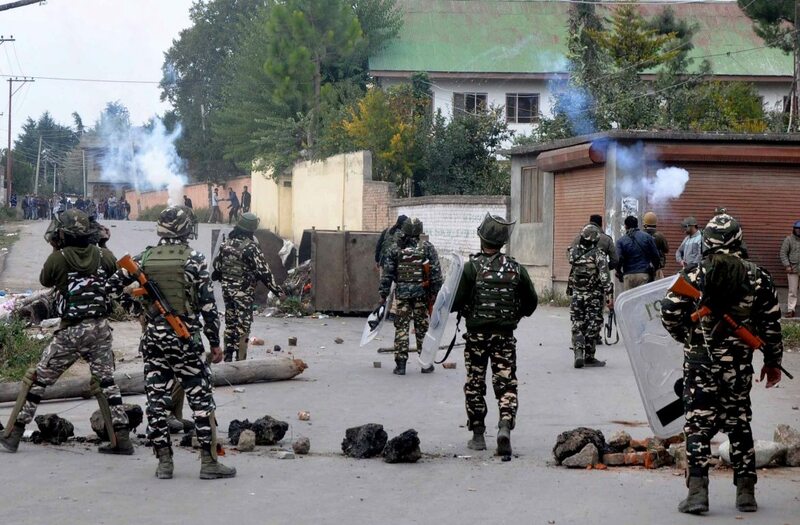 There were stone pelting incidents reported from Soura, Rainawari, Tailbal, Skaust land Brein, Badamwari, Malpora Eidgah, Batpora, Zakura and Goosu Hazratbal areas. In the stone pelting incidents, one elderly man was injured in Badamwari when a stone hit him on his head while as one BJP candidate, Shazia Khan, was also injured when a stone hit her nose. Meanwhile, both the injured were not injured seriously. 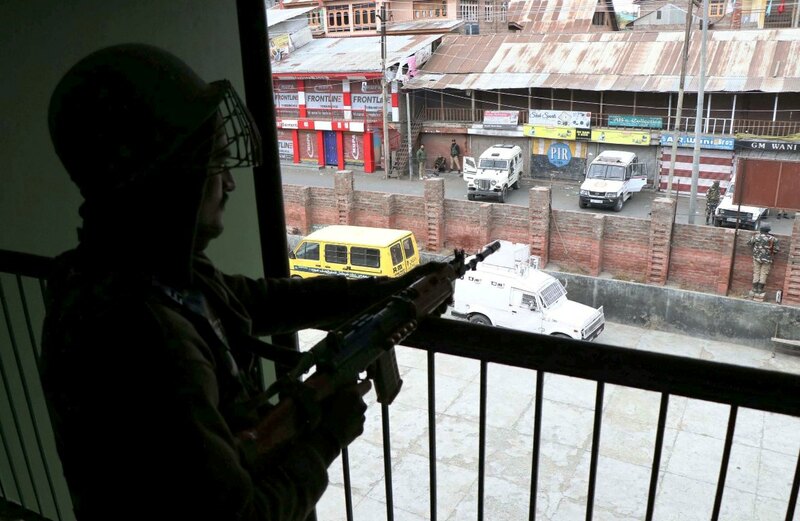 In the Alamgari Bazar, inter party clashes were also reported between two groups, of Syed Afzal and Madeen Ahmad. They were claiming bogus voting in Gupt Ganga and Madin Sahib wards. In Ganderbal area, which has 17 wards, its five wards were already decided as the candidates won without an opponent or were left vacant. It had 38 candidates in the fray on 12 wards. Ganderbal had 11.29 percent voting with maximum votes coming from Gangerhama B where 235 votes were polled. Interestingly, Saloora A ward was only ward in phase IV election which witnessed less than 10 votes. This ward added just eight votes. 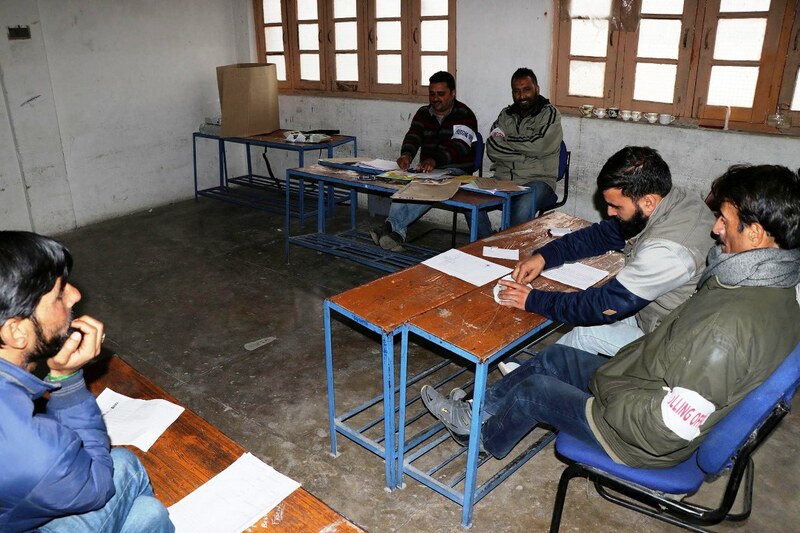 In the final phase of ULB elections132 wards were scheduled to vote but polls were required only in 36 wards – 24 in Srinagar and 12 in Ganderbal. Though this phase is spread six districts, only two had to go for polls. As many as 44 wards were vacant as no nomination came. In 52 wards, one candidate each filed papers and was declared a winner. In the overall ULB elections at least 930 candidates in the region had filed their nomination papers for the four-phased ULB polls while as 215 candidates from different wards across the valley emerged as winner unopposed. And the two regional parties including National Conference (NC) and Peoples Democratic Party (PDP) stayed away from the polls, citing the situation in the Valley. The Chief Electoral Officer (CEO) J&K, Shaleen Kabra this evening said that overall 4.2 percent polling was witnessed in the 4th and Final Phase of Municipal Polls-2018 in Srinagar and Ganderbal today. Kabra said Ganderbal witnessed 11.3 percent polling in 12 Wards were 38 candidates are in the fray. He said Srinagar witnessed 4 percent polling were 24 Wards went to polls today. The CEO said re-poll was also held today at Polling Station No: 9 Bachidarwaza of Makhdoom Sahab (Ward No: 41) where five candidates are in the fray. He said the cumulative poll percentage in all the four phases is 35.1 percent. Huge contingent of paramilitary forces and Policemen manning the polling booth at Srinagar on Tuesday. The Counting of votes will be held on October 20, 2018, for which, Kabra said, all arrangements have been put in place. In a video-conference with the Deputy Commissioners, Kabra while taking a comprehensive review of the counting arrangements made in each district, lauded their efforts in ensuring smooth, free and fair conduct of urban local body polls across the state. He complimented the DCs for having made adequate arrangements which resulted in the smooth and hassle-free conduct of elections. Kabra issued necessary guidelines to the DCs regarding the counting of votes besides ensuring the presence of contestants or their authorized agents inside the counting hall. Kabra directed DCs to personally monitor the counting and tabulation to avoid any confusion. He said the staff has already been fully trained in the counting of votes on EVMs. Municipal Elections-2018 were held in four phases, covering 79 municipal bodies with an electorate of about 17 lakh electors. A total of 3372 nominations were filed for 1145 wards.